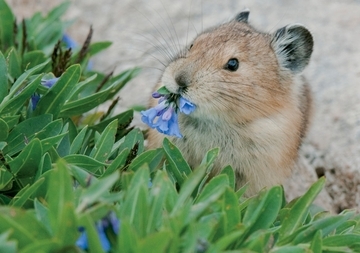 The American pika (Ochotona princeps) is a cute-as-a-button alpine inhabitant that, more and more these days, is looking for a nice, cool place to call home. 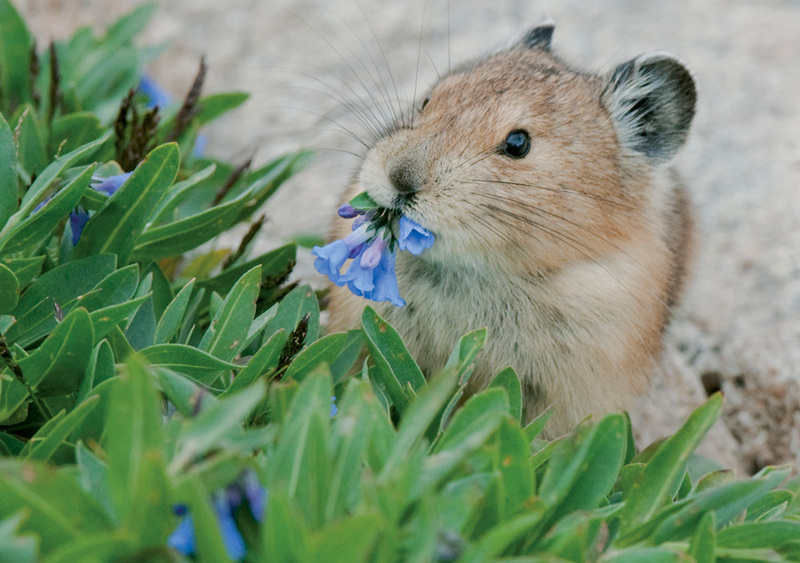 The pika’s likes include eating grasses and flowers, planning ahead for winter by collecting even more grasses and flowers, and living in the cold, moist mountainous terrain of western North America. Dislikes include climate change, loss of habitat, and the growing risk of becoming endangered.